Apple has filed a motion in a California courtroom for a preliminary ban on Samsung’s Galaxy S III handset ahead of its June 21 US launch date. Cupertino specifically asked the court to add the handset to a separate motion for injunction against the Galaxy Nexus, a Google phone that Samsung helped create. Apple’s case against the Galaxy Nexus was filed in February and claims infringement of four specific patents. Cook and company say they haven’t had time to fully analyze the Galaxy S III over two of those patents, but they feel confident that the handset is in violation of the other two. These include US Patent 8,086,604 and US Patent 5,946,647; unified search (Siri) and data tapping, respectively. Court documents show that Apple’s attorneys spoke with those representing Samsung on May 31 to discuss including the Galaxy S III in the motion for injunction. Cupertino asked Samsung to postpone the launch of their new flagship phone until the proceedings had been completed. 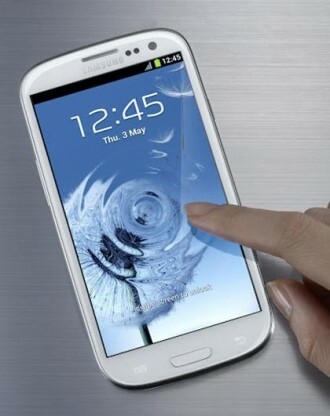 Samsung denied, saying that the motion would have no effect on the release of the handset. As of Wednesday, Samsung replied to Apple’s motion by suggesting it was too late to add the Galaxy S III to the same motion as the Nexus. If they wish to proceed, Samsung feels that Apple should have to file a new motion and allow both parties involved to get all of their facts in order. It’s still too early to determine how this one might play out but if Apple were able to delay the US launch, it could be disastrous for Samsung. The phone reportedly garnered over 9 million international preorders as of last month and with five major US wireless providers opening the pre-order floodgates yesterday, that number is sure to increase substantially.